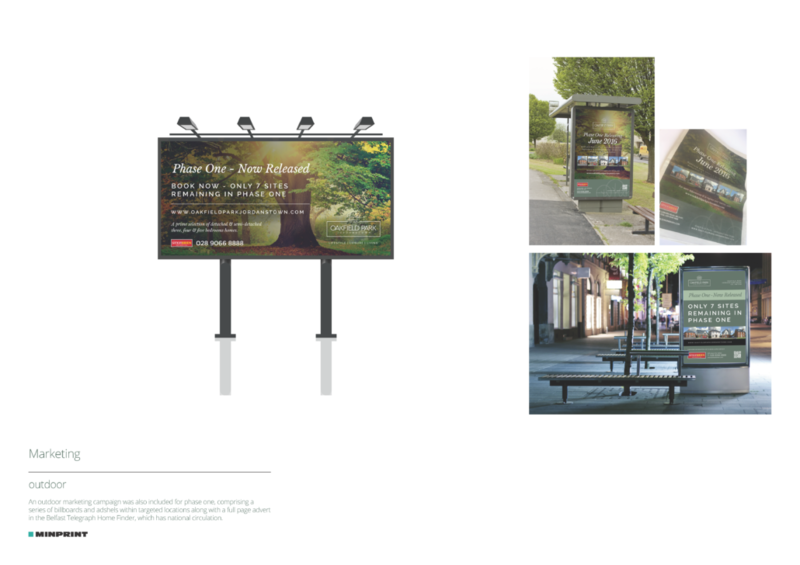 This month’s featured job was quite a challenge, and we loved every minute of it! 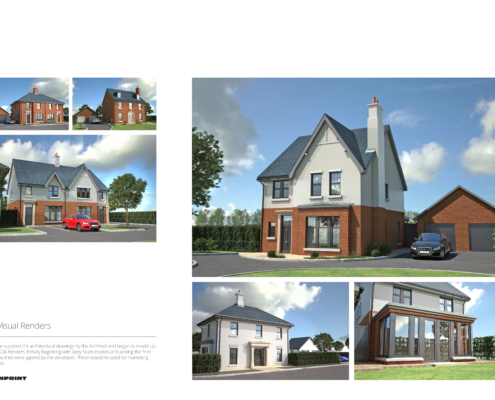 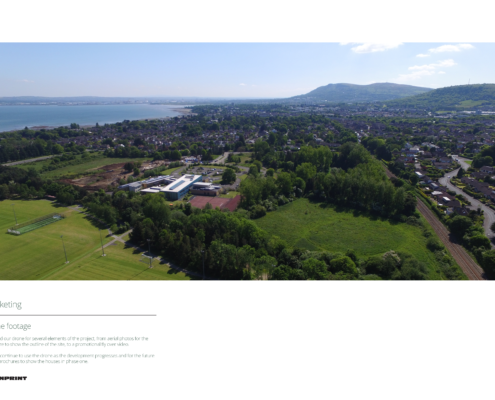 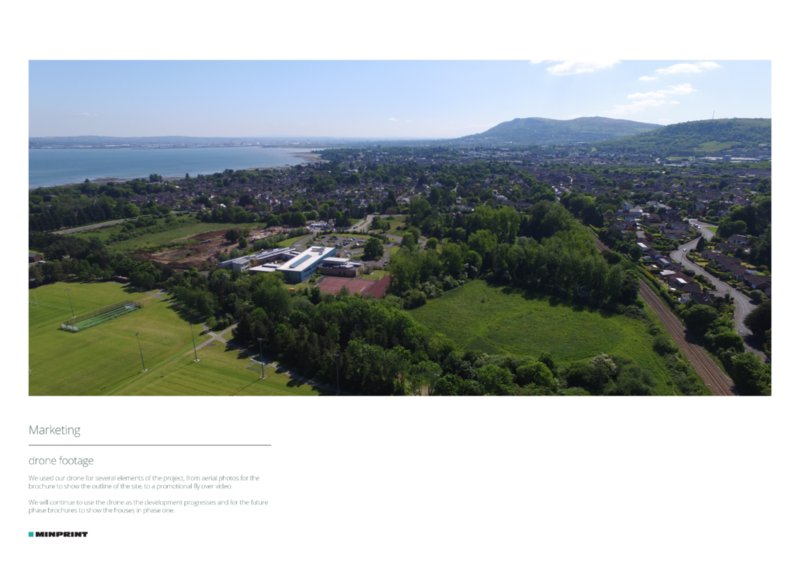 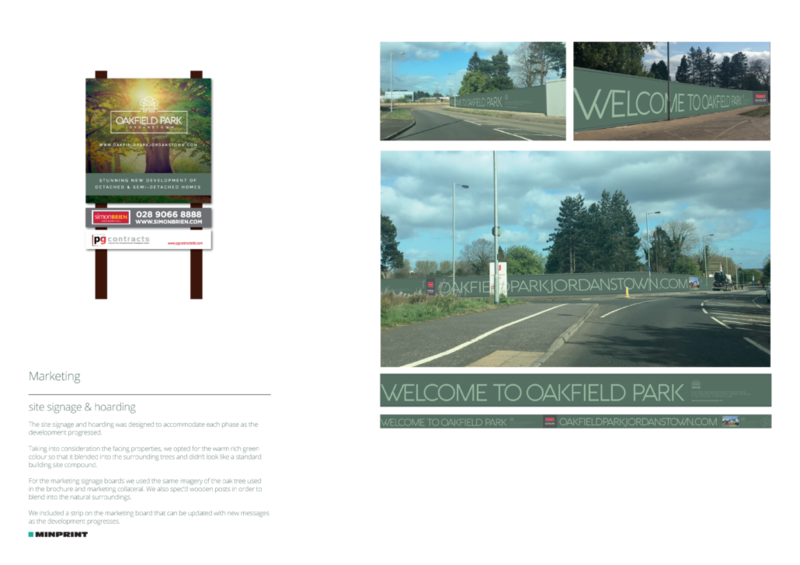 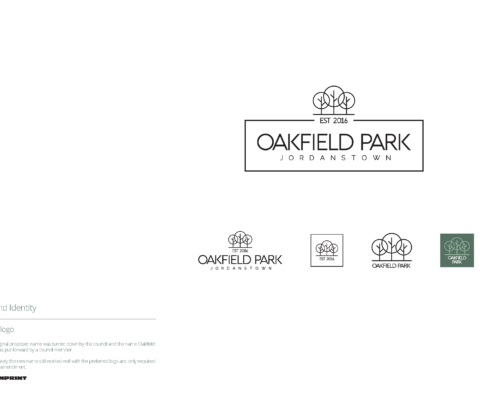 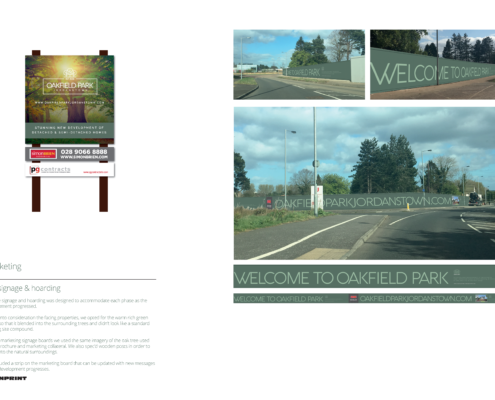 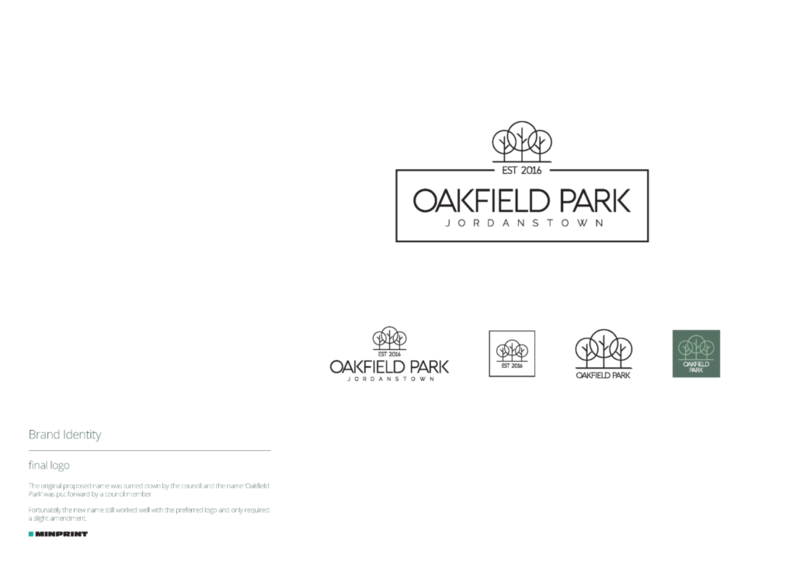 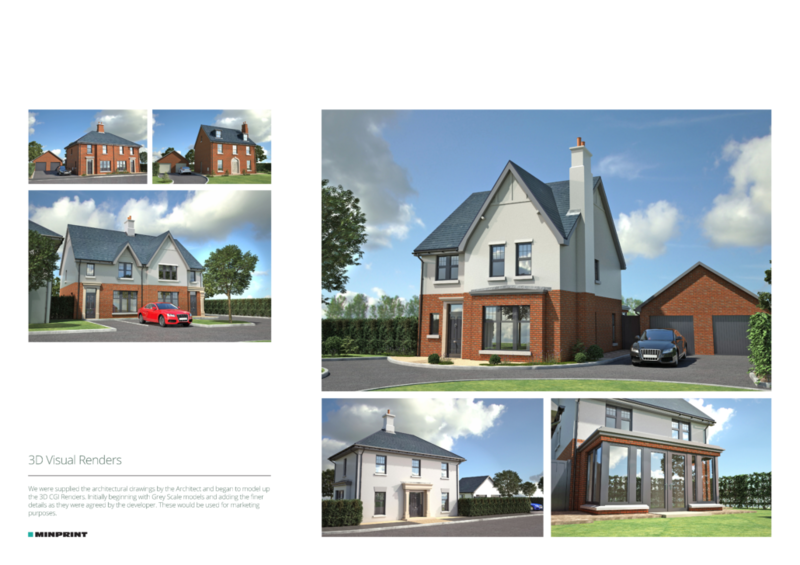 Oakfield Park is a five phase property development on Jordanstown Road, just outside Belfast. 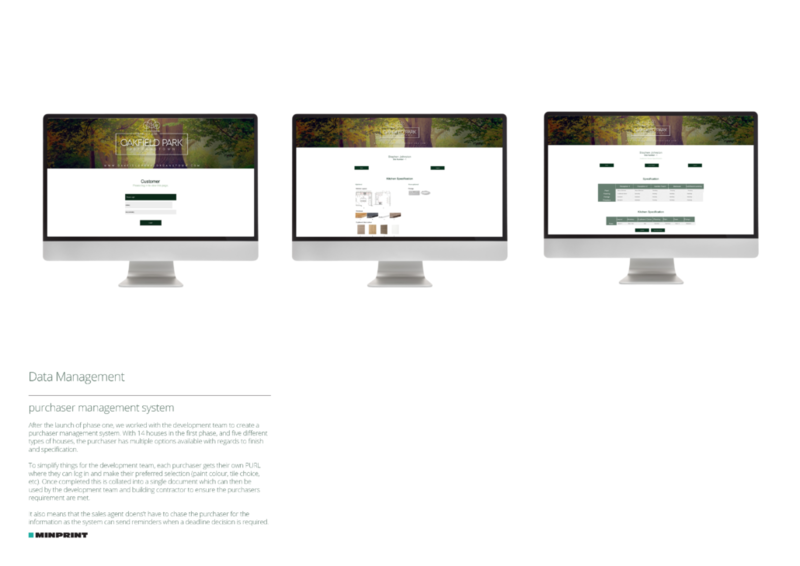 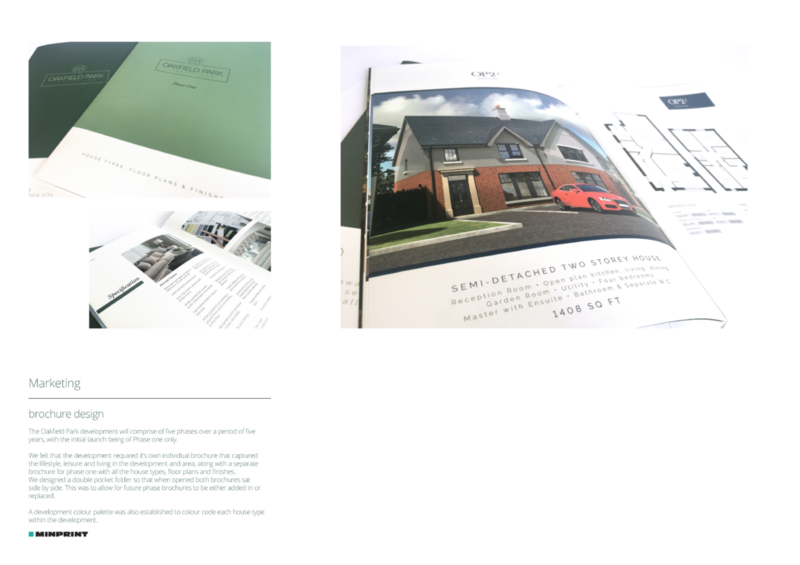 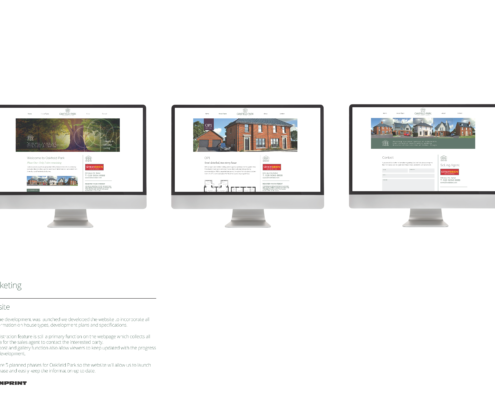 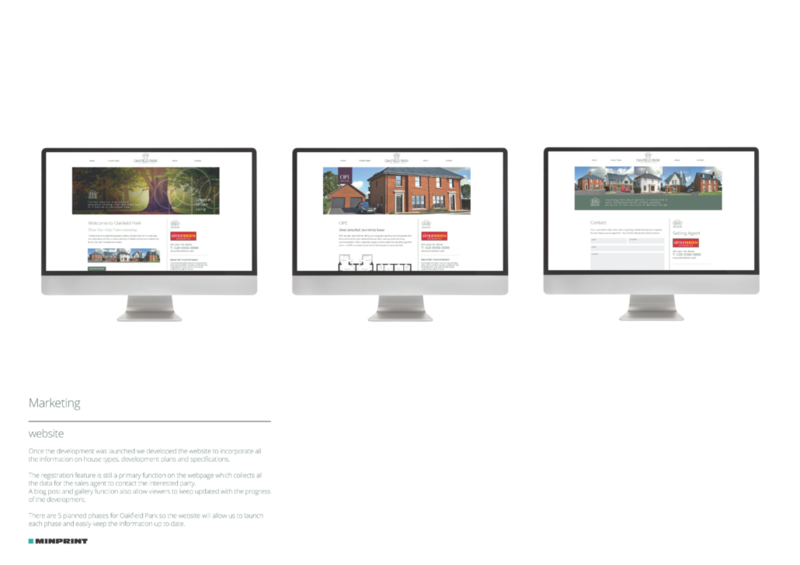 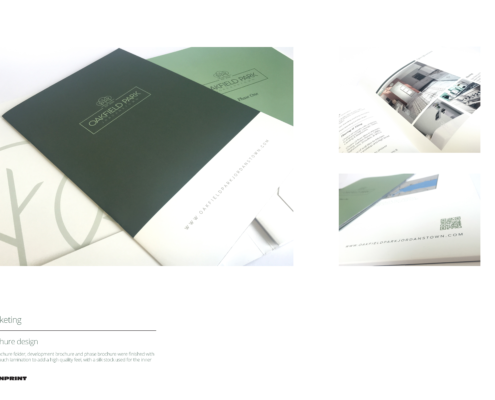 We were tasked with creating and developing a brand identity for the development, devising online and offline marketing strategies, designing 3D CGI renders of the properties, and designing and printing the marketing material. 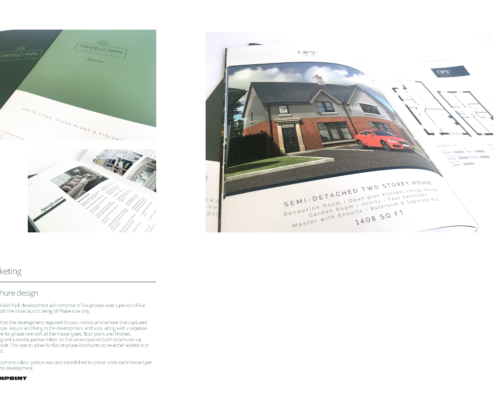 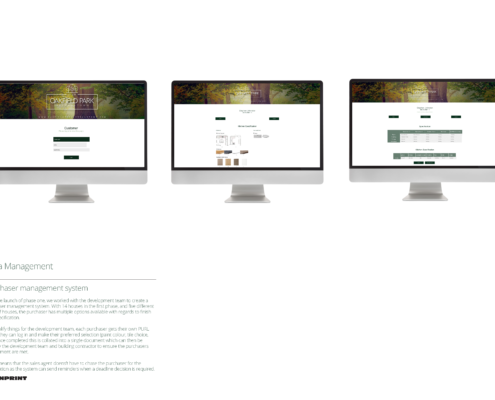 With so many elements to work with, it was key that we had a clear marketing strategy to help tie everything together, so our marketing experts devised a marketing timeline using a staggered approach to encourage maximum visibility both online and offline. 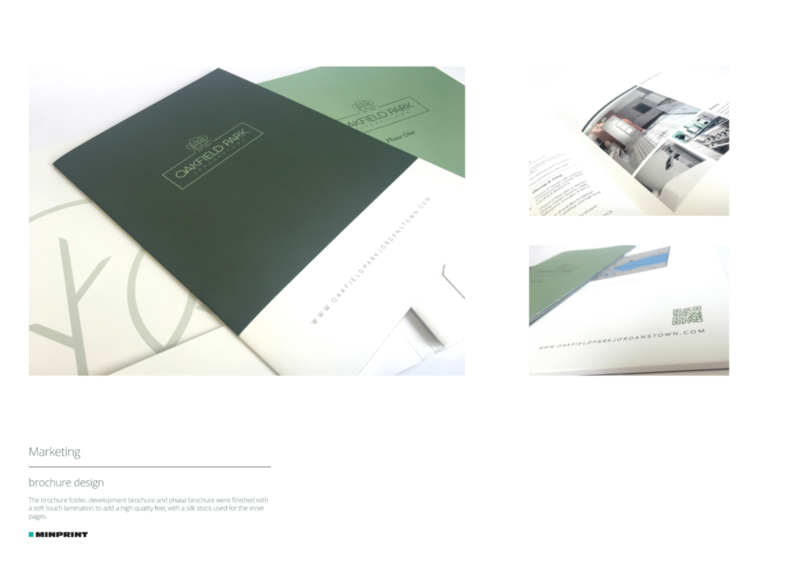 This job encompassed almost every aspect of what we produce here at Minprint, and we are very proud of the results we have achieved so far. 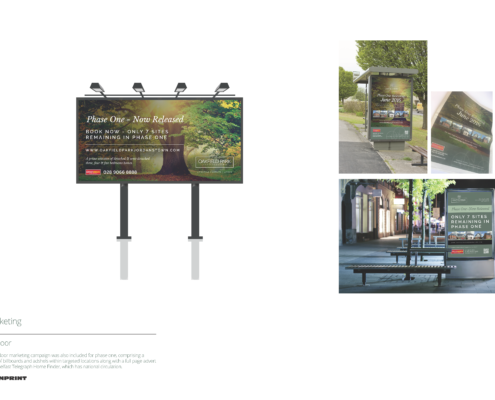 The project is still ongoing and we hope that we can continue to provide outstanding results for our client. 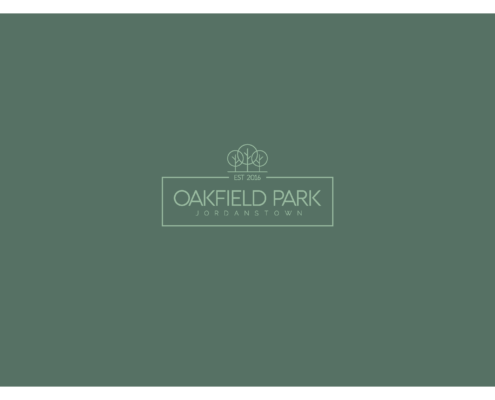 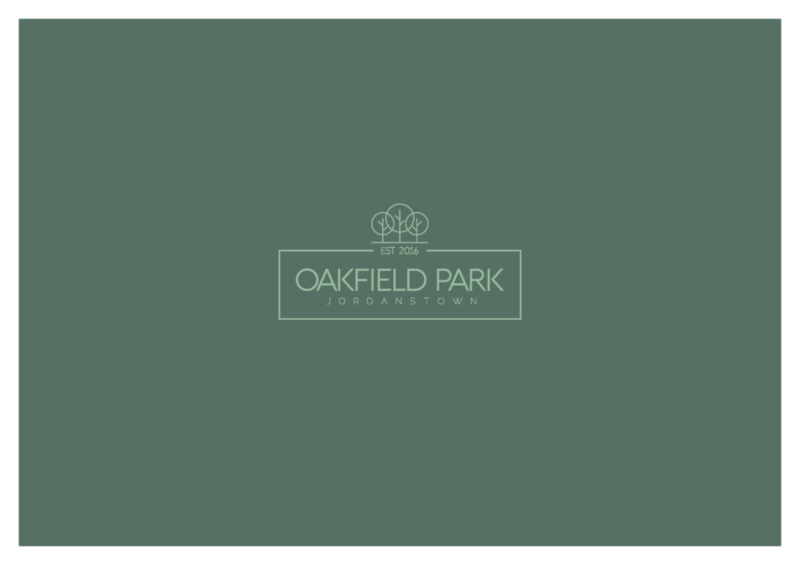 If you would like to find out more information about Oakfield Park, check out the website here, and follow the Facebook page here to keep up to date with the development. 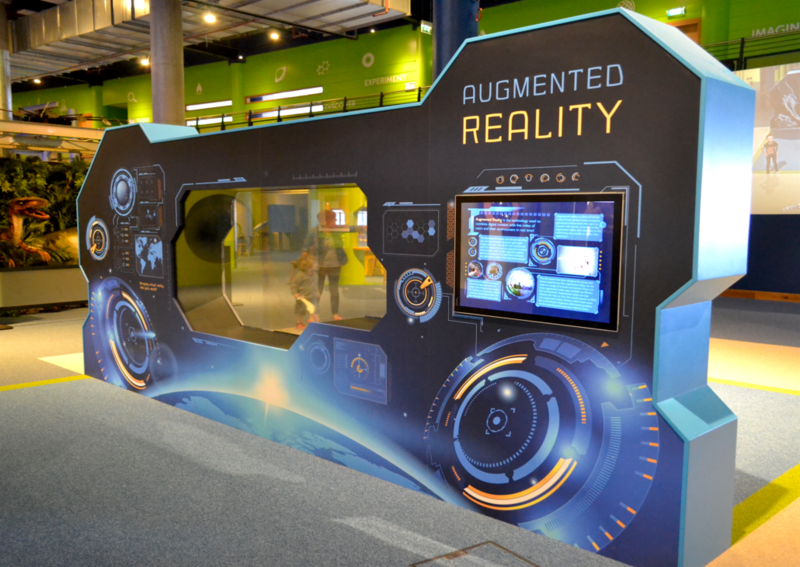 In June, we had one of our most exciting jobs yet – helping W5 create an immersive Augmented Reality experience! If you’ve been following the craze of Pokémon Go in the last few weeks then you’ll know all about AR technology, but if not don’t worry, it’s very simple; Augmented Reality (AR) is a new technology that superimposes computer generated images onto the real world, bringing CGI to life in front of your eyes! 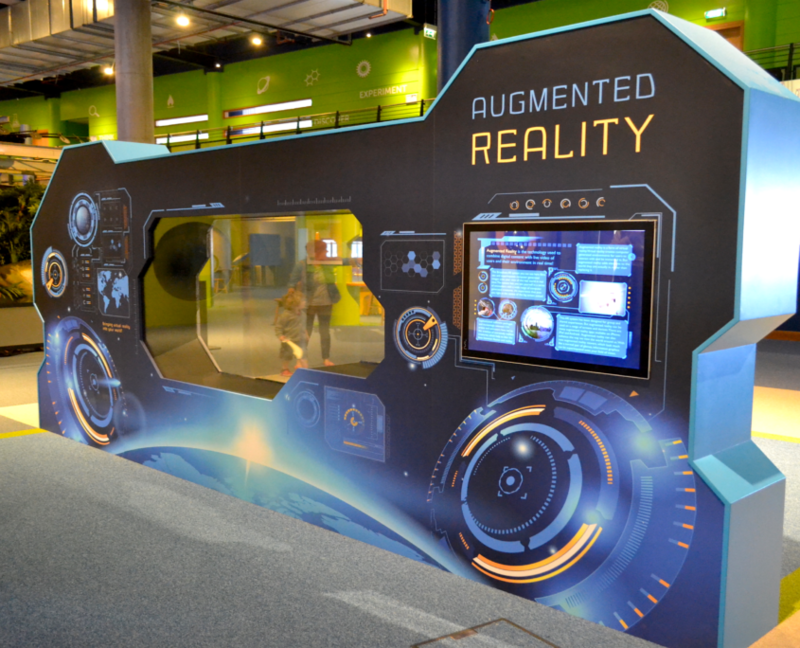 W5’s AR experience brings dinosaurs to life all around you, putting you right in the centre of the action. 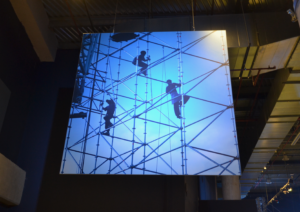 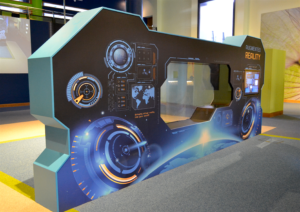 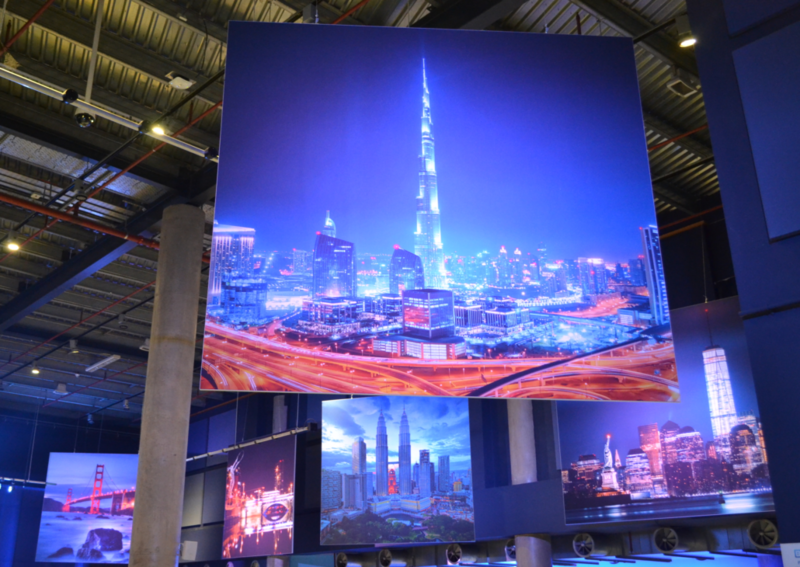 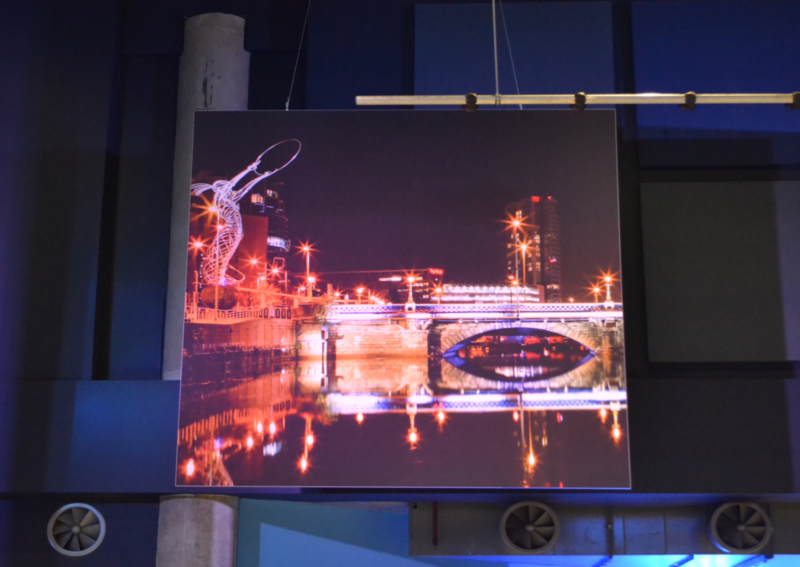 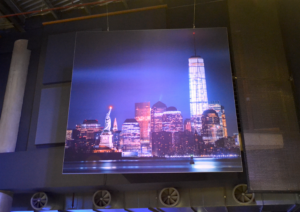 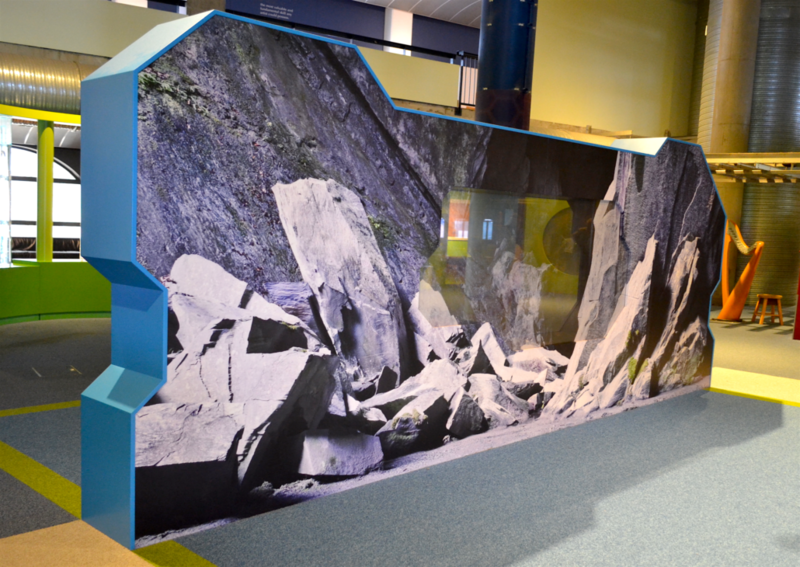 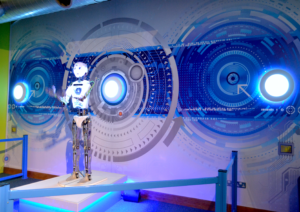 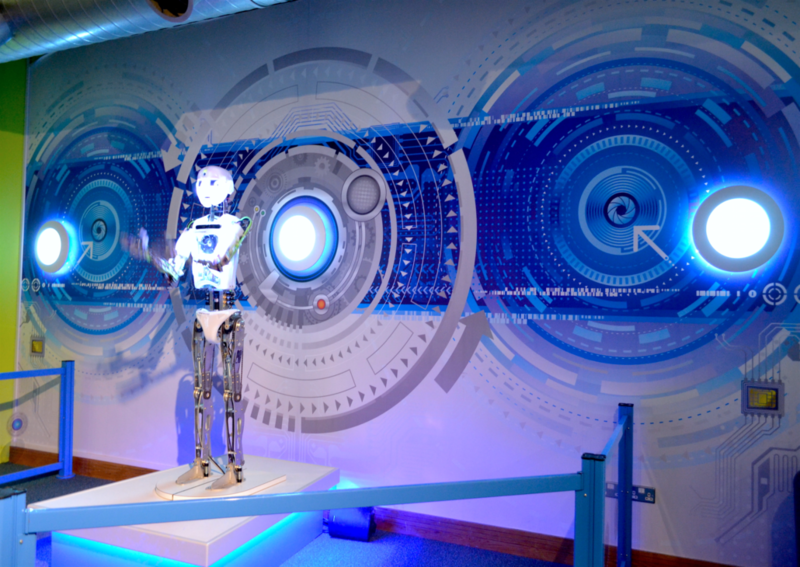 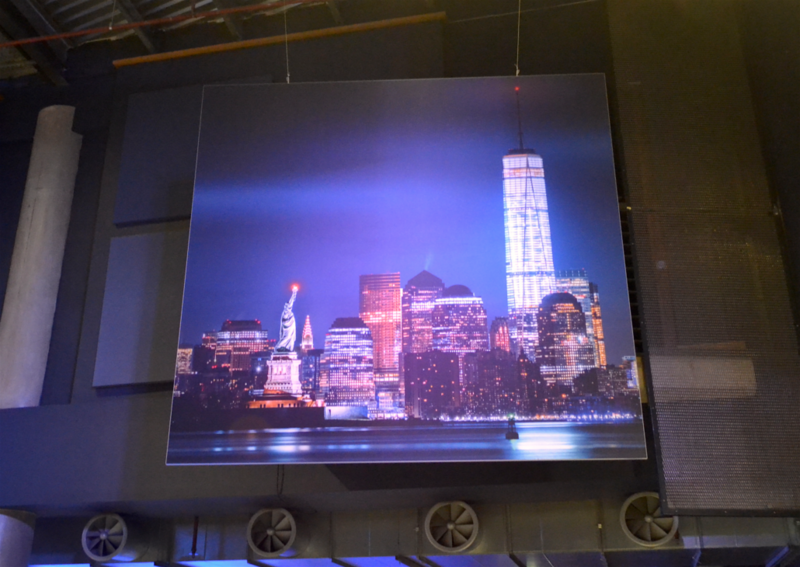 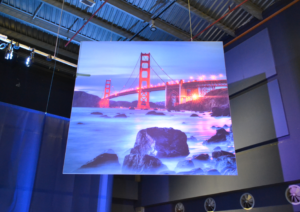 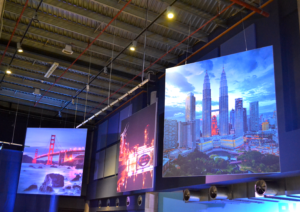 For this project, Minprint created a wall backdrop with a one way viewing window, so that visitors could try out the AR spectacle uninterrupted on one side, and other visitors could see what was going on from behind the wall. 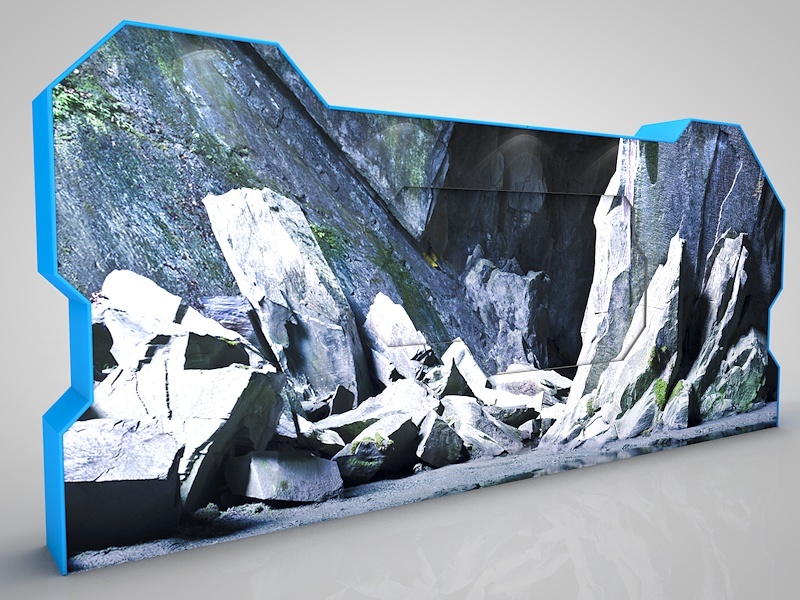 Our CAD designer, Joseph, took the original concept and developed visualisations of the wall (pictured below), and created the technical specifications for the build. 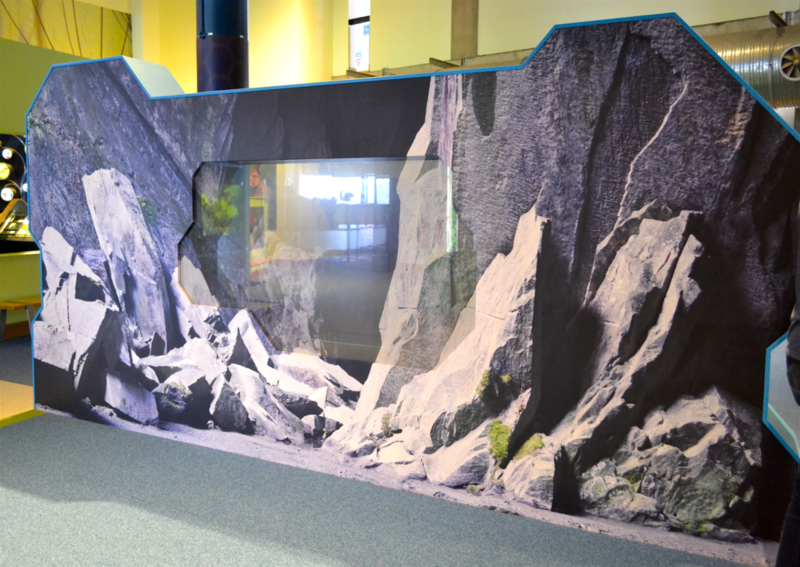 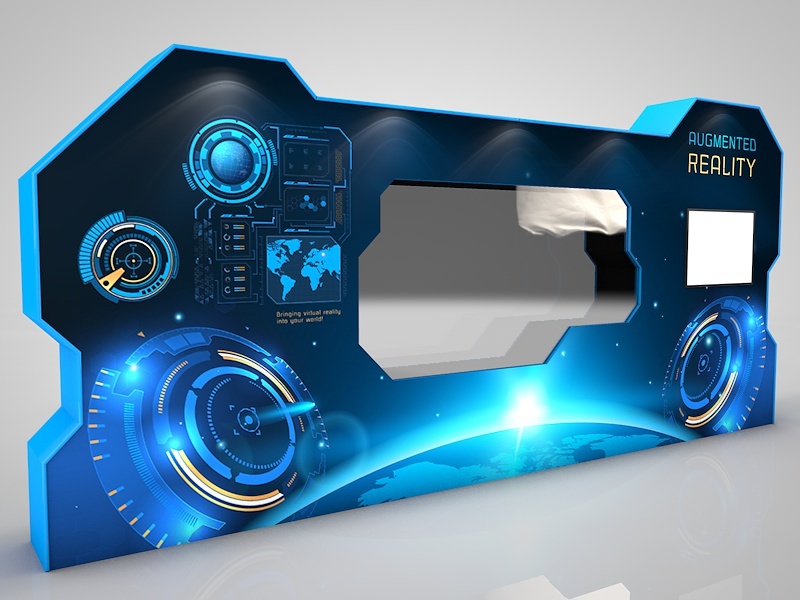 It was built and assembled by our production team and finished with highly durable vinyl prints. 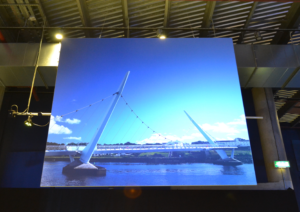 The finished product looks incredible and really adds to the spectacle! As if that wasn’t enough excitement, we also gave other areas of W5 a massive makeover – we installed full printed floor and wall graphics in several areas, as well as large hanging photo structures. Check it out for yourself to get the full experience – just make sure you don’t get eaten by a T-Rex!